Who doesn’t love easy and quick recipes? The newest fad on Pinterest these days are ‘no bake’ snacks or ‘3, 4, 5 ingredient’ recipes. 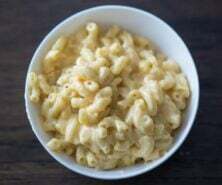 With everyone being so busy, having a quick, easy recipe is always welcomed in this household. 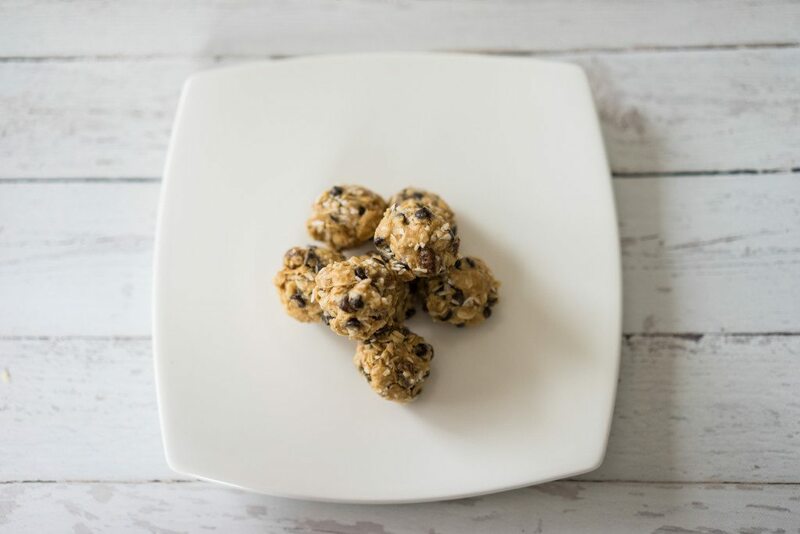 That’s why I’m really excited to share with you these No Bake Peanut Butter Snack Bites. That’s right – no baking required! 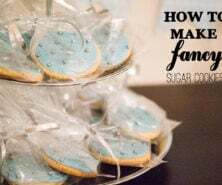 The best part about them is you can completely customize them with whatever ingredients you like. I chose coconut, chocolate and raisins, but you could use nuts, marshmallows, cranberries, really the sky is the limit! 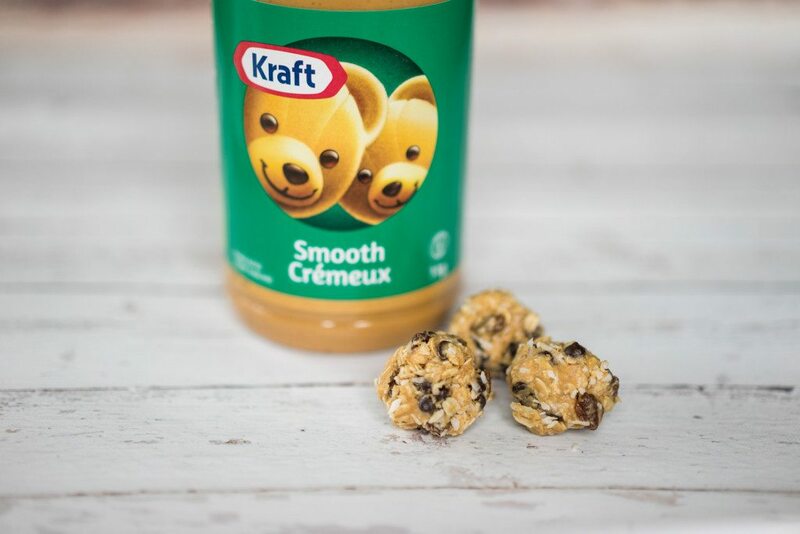 Mix the honey and Kraft Smooth Peanut Butter together. 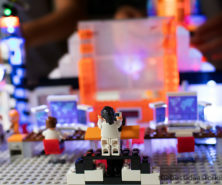 Then mix all other ingredients until blended. 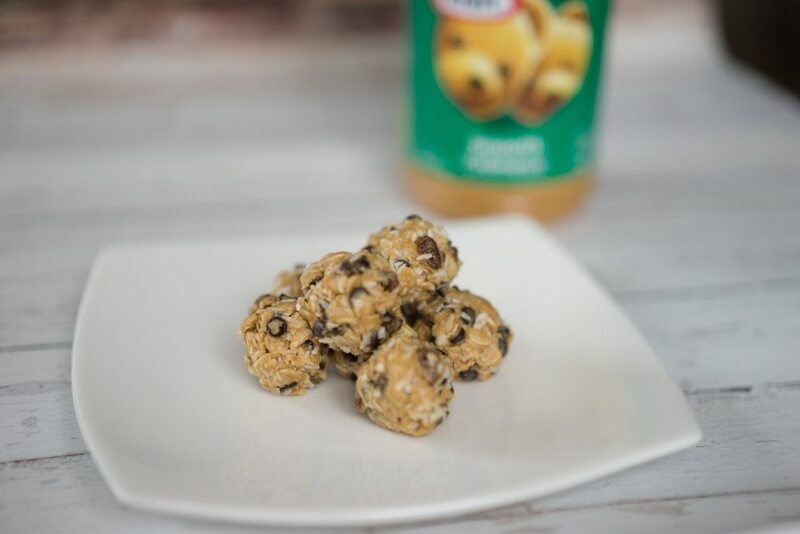 While making these No Bake Peanut Butter Snack Bites, I couldn’t help but remember making cookies with my mom as a kid. This recipe is a perfect one to make memories with your kids as they can help pour and mix all the ingredients together! Although our little guy is a little too young to help out with making recipes, he sure had a lot of fun eating this one. It’s toddler friendly with the raisins and mini chocolate chips. I broke up the snack bites into smaller pieces for him and he loved them. 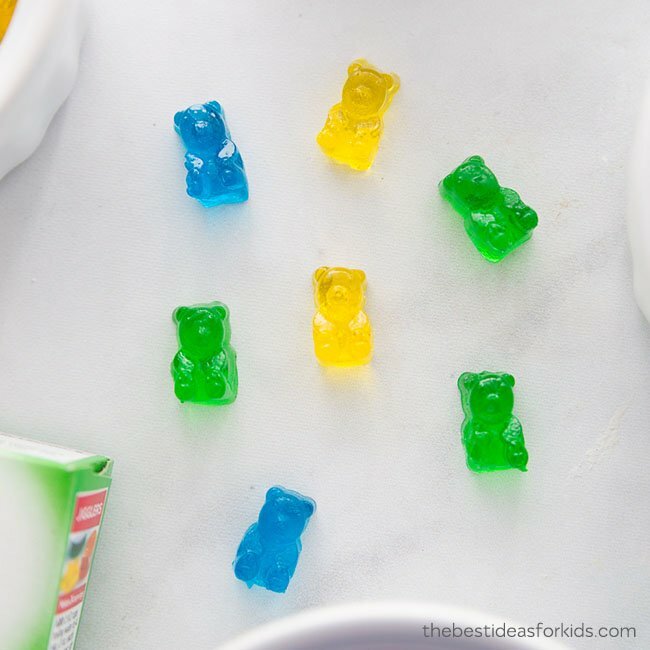 For another really easy treat idea for kids – try making these easy homemade gummy bears. 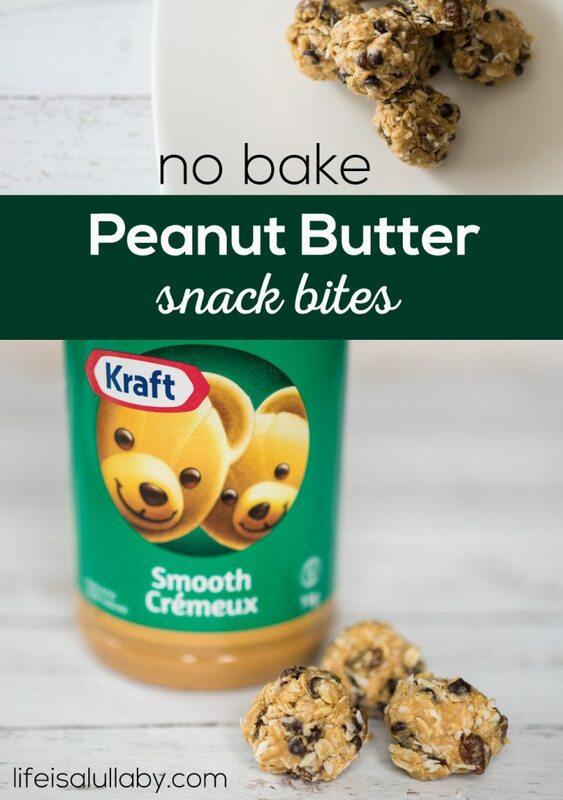 This is such a great snack idea that is still a bit sweet. Thanks!